The Vatican recognises the routes in the capital as international pilgrimage sites, a first in Asia. A Mass to mark the event will be held on Friday, with Apostolic Blessing. For Card Yeom, South Korean Catholics are moved by it as “descendants of the martyrs” and members of the Asian Church. 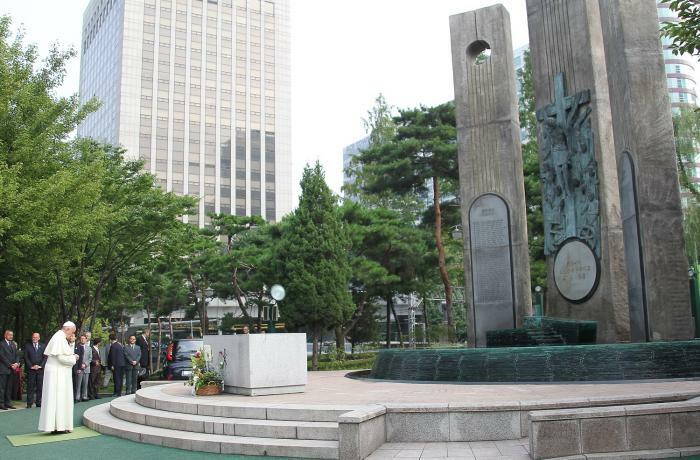 Seoul (AsiaNews) – The Vatican has decided that Seoul, with its history and martyrs, is an official international pilgrimage site, a first for Asia. A proclamation ceremony will be held this Friday at the Seosomun Martyrs shrine, the largest monument to the martyrs of Korea. For the occasion, the historical park of Seosomun will be open to the public in advance of the official opening, scheduled for the end of this year. The site is a key place in the history of the Korean Church: 44 saints and 27 blessed were martyred there. Mgr Rino Fisichella, president of the Pontifical Council for the promotion of the new evangelisation together with Card Andrew Yeom Soo-jung, Archbishop of Seoul and Apostolic Administrator of Pyongyang, will lead the celebration Mass. Mgr Alfred Xuereb, apostolic nuncio to Korea, will deliver the Apostolic Blessing. “As descendants of the martyrs who, through their spontaneous embrace of the faith, were forced to endure horrendous persecution and suffering, and as fellow members of the Asian Church, we eagerly await the Universal Church’s official recognition of Seoul’s International Pilgrimage Routes,” Card Yeom said. The prelate launched the pilgrimage site initiative in the South Korean capital in September 2013. Following the apostolic visit of Pope Francis in 2014, the Archdiocese of Seoul officially organised Catholic Pilgrimages Routes in Seoul in cooperation with local authorities. The pilgrimage routes are divided in three parts: The Good News Road, The Eternal Life Road, and The Unity Road. Meanwhile, 30 Asian Catholic leaders from 13 countries, and 30 young Catholics from nine countries are involved in the 2018 Korea Pilgrimage Week, from 10 to 15 September. They will follow the Seoul routes and visit Solmoe and Haemi shrines. Card. Cheong: "Pray that Eucharist may return to North Korea"